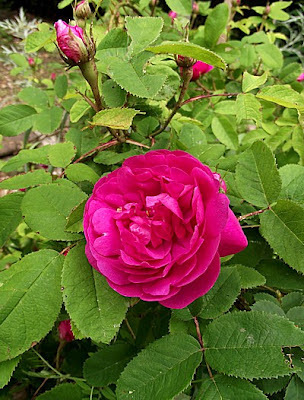 As a gardener, I've incorporated many historic and heritage roses in my garden, covering a span of centuries. These are some that my late-17th century characters would have known. 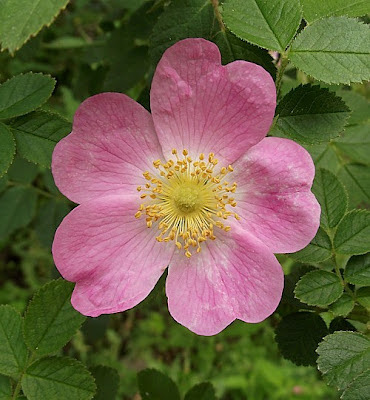 Rosa canina, Dog Rose, English hedge rose. York and Lancaster, a damask rose dating from the 1500's. Tuscany, a gallica from the 1590's. 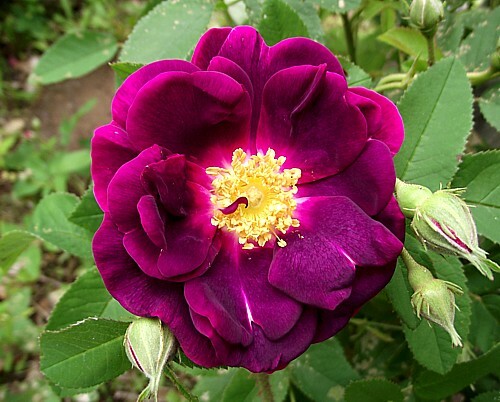 Also known as The Velvet Rose, and for good reason. 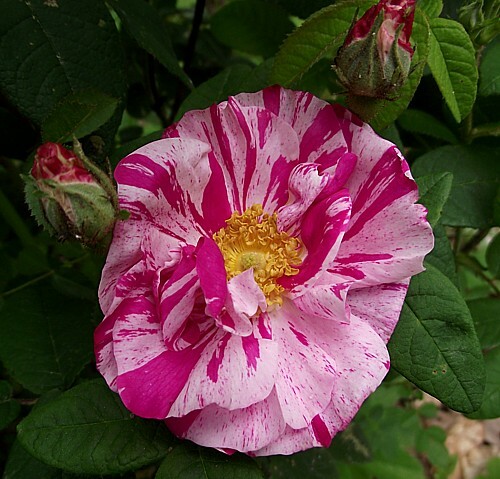 Rosa gallica versicolor, called Rosa mundi or Fair Rosamund's Rose, for supposed associations with Henry II's mistress. It was first identified by this name about 1581 but is likely much older. 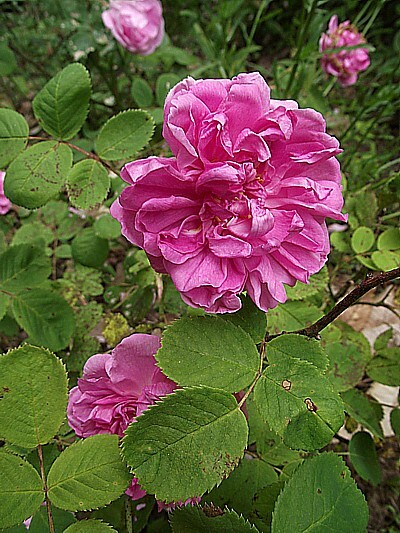 Another damask, Quatre Saisons, the fabled Four Seasons Rose, also known as the Autumn Damask for its reblooming ability. The oldest rose I grow, dates to ancient times. All the varieties shown here bloomed mostly in June--the dog rose might appear a bit earlier--and after a few weeks of flowering, no more blossoms. With the exception of the Autumn Damask. This was the case until late in the 18th century, and the importation of China roses, from which re-blooming varieties were bred. In a future post, I'll share some 18th century specimens.